Ready for some amazingness? I mean, what's better than balloons and cute Asian babies on a Friday afternoon? This bench by h220430 is inspired by the the 1953 French film Le Ballon Rouge, which I'm pretty sure I saw in high school French class. 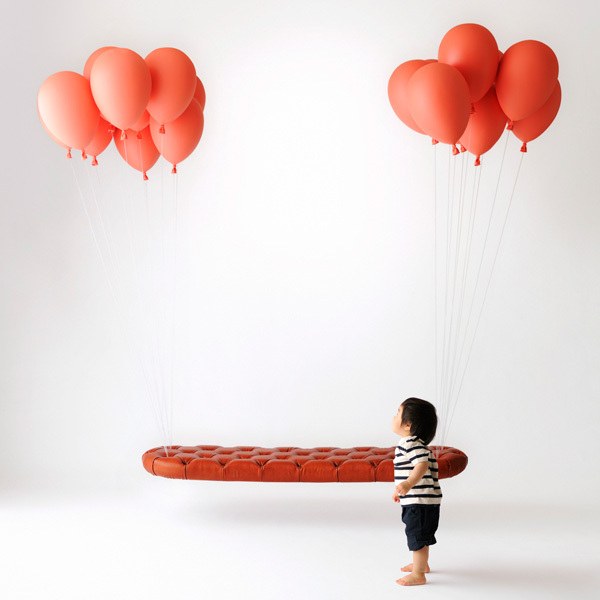 Though it appears the bench is floating, the balloons are actually anchored to the ceiling and serve as lights. And on that note, happy weekend, everybody!